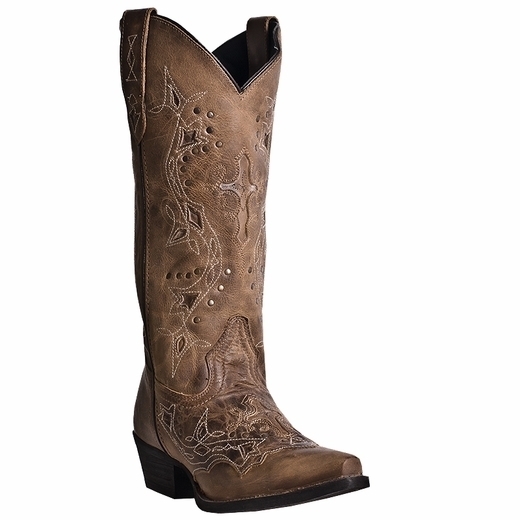 All leather, 13" shaft, hinged cushion insole, snip toe, composition outsole, Medium cowboy heel. Sizes: M 6-10,11-12 full sizes only W 6-10. 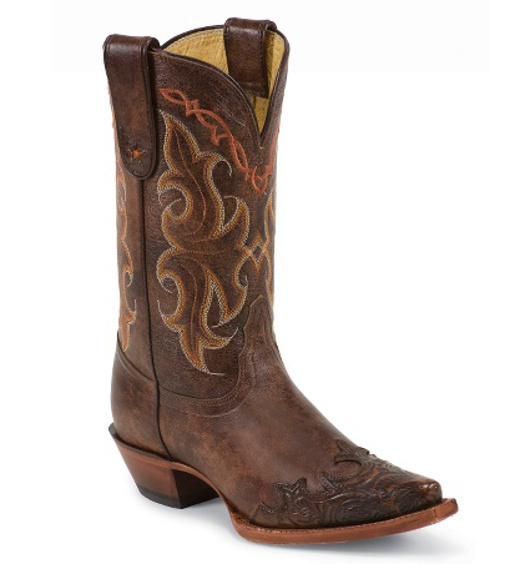 Distressed Leather, 13" shaft, cushion insole, snip toe, composition outsole, with a Cowboy heel. 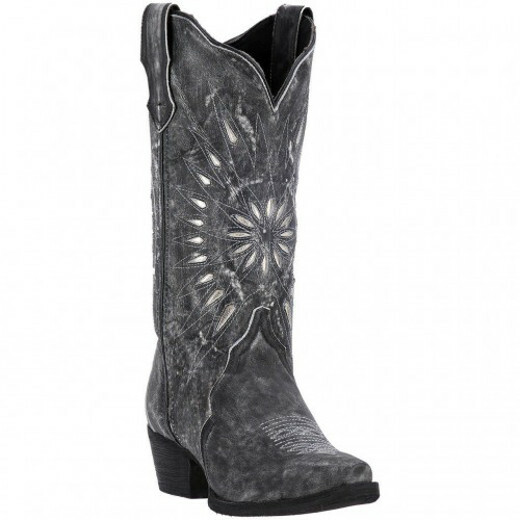 All leather, 11" shaft, removable orthotic, R toe, flight rubber outsole, medium cowboy heel. 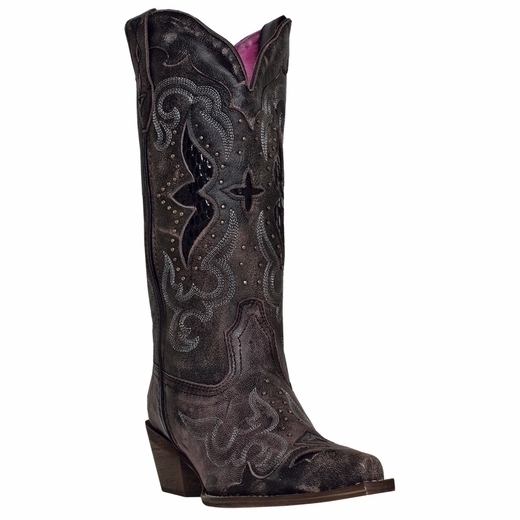 Sizes: M6-10 11-12 full sizes only W- 6-10, 11. 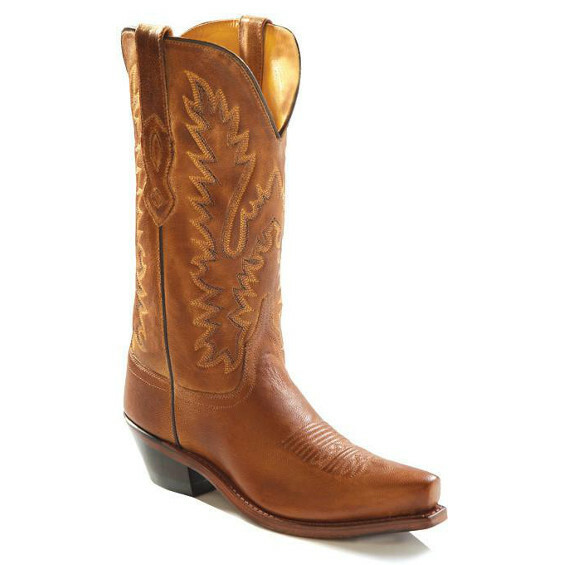 Leather foot, 11" leather like shaft, R toe, fineline rubber outsole, with a cowboy heel. Black Tan, all leather, 11" shaft, broad square toe, cowboy approved outsole, stockman heel. All leather, 12" Shaft, snip toe, composition outsole, medium cowboy heel. All over Leather with 12" Shaft, fully leather lined, reinforced shanks, 6-Row fancy stitch, hand corded medallion, Goodyear welted, cushion leather insole, cowboy heel, snip toe, leather outsole. 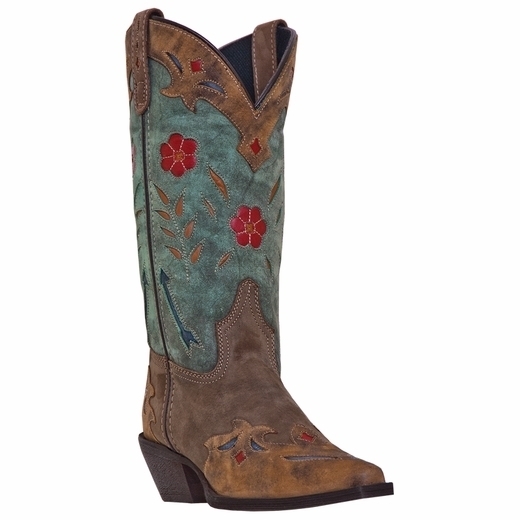 100% Vaquero Boots, 11" leather shaft, snip toe (N toe from Tony Lama), Cowboy heel (43 heel from tony lama), 3/4 welt leather. All leather, 10" shaft, cushion insole, fashion toe, composition outsole, dancer heel. 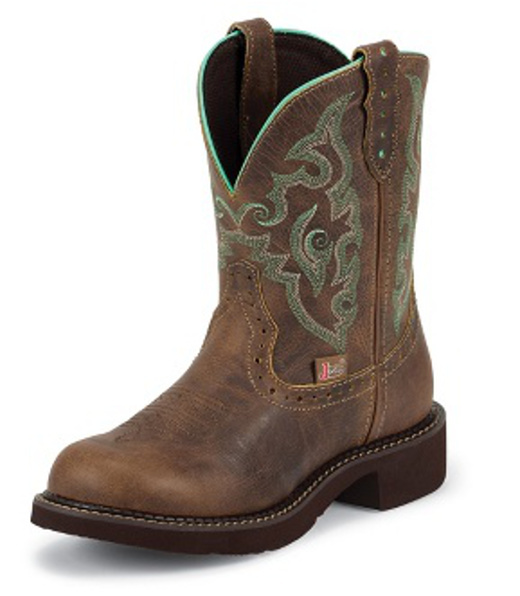 "Gypsy Collection" Color: Tan Jaguar. 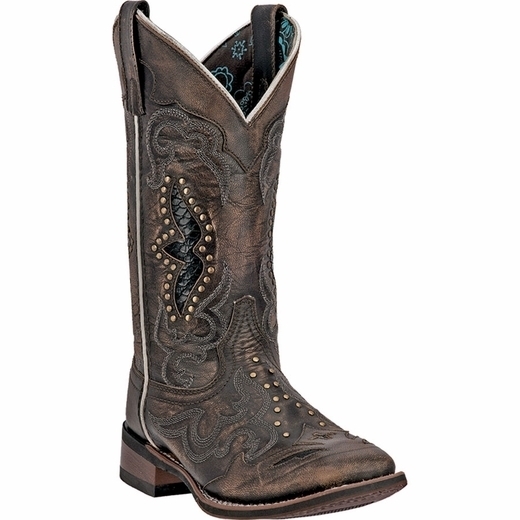 8" shaft, toe J29, single stitched welt, unit heel, J-flex flexible comfort system with removable orthotic insert, gypsy cowgirl outsole.